A one-hour talk (described above). Q&A session right after the talk. Autograph session with prints and posters for sale (only if you want). Additional meet and greets by request. Note that the host is responsible for travel, hotel, and a speaking fee. The fee may vary depending on the size of the event, as well as the addition of additional meet and greets previously mentioned. Send me a private/direct message on Facebook or Twitter. 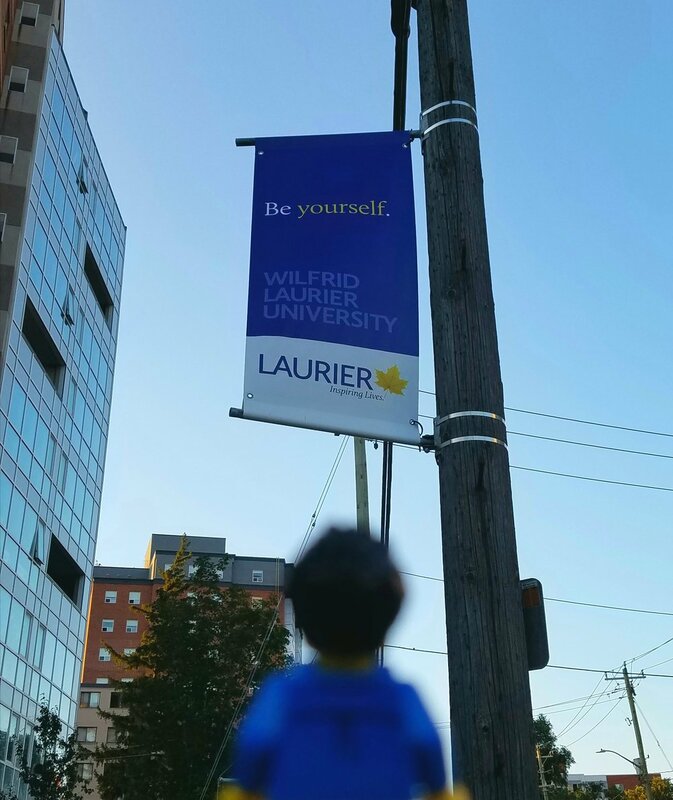 Walking into Wilfrid Laurier University. Checking out Toronto before the CFS Graduate Symposium. Advertising banner (obviously customized for your needs). Taking in the sights at Western University. Meandering the campus of the University of Oregon.